Grocery Store Layouts: Why Are They All So Similar? 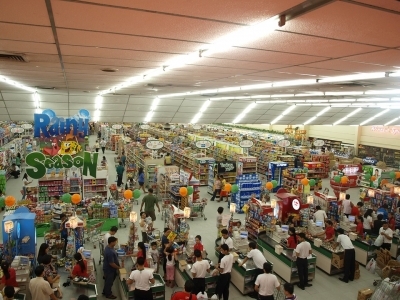 Grocery store operations managers know that that there is a certain psychology behind the floor plan of their store and how their customers shop. All sorts of collected data, including sales data and surveys, is used to get a better understanding of consumer habits. Grocery stores all over the country are guided by a key set of principles when setting up their store – the goal is to keep shoppers moving and increasing sales. The calculated layout begins as soon as you walk in the door. Have you ever noticed that the bakery or deli is right by the entrance? Who doesn’t love the smell of fresh baked bread? Oftentimes, produce and flowers are up front for the same reason – the vibrant colors and fresh smell do something great to the brain. The goal is to entice customers and get them to spend money on things that are not on their list. One thing you have probably always noticed is the fact that the milk, eggs, and paper goods are in the back. These items are things that people need pretty often, they’re considered staples. So, when your plan is to just run in and grab a gallon of milk, you’re forced to pass every aisle on the way. There are displays set up all long your walkway filled with items that are on sale and other attractive goods. At Do-It Corporation, we know a thing or two about consumer psychology. We may not be directly involved in a grocery store’s layout, but we use the same principles when designing and manufacturing our display strips and hang tabs. If you have been looking for a company who will work with you to find the perfect display solutions for your product, contact us today!